Sometimes the simple things in life are the best. 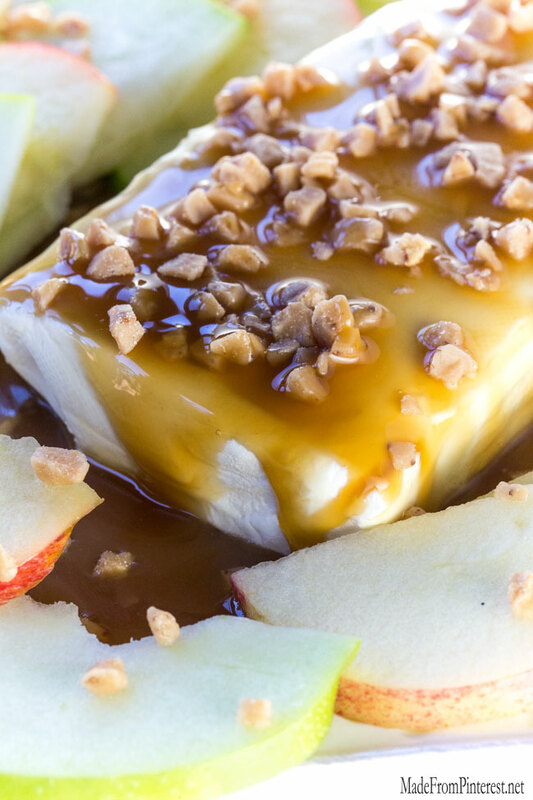 This Cream Cheese Caramel Apple Spread is case in point! It is ridiculously simple to make, only three ingredients are needed and it’s perfect for any occasion. If you are like our family you are enjoying both the professional and collegiate football season. If we have a lot in common than you are also enjoying some great food while watching your favorite teams play. I like to have a good balance of sweet and savory options to eat while we cheer our team on and yell at the bad plays. It gets pretty loud at our house when a really close game is being played. I also like recipes that can be put together fast, with common ingredients and that taste great. 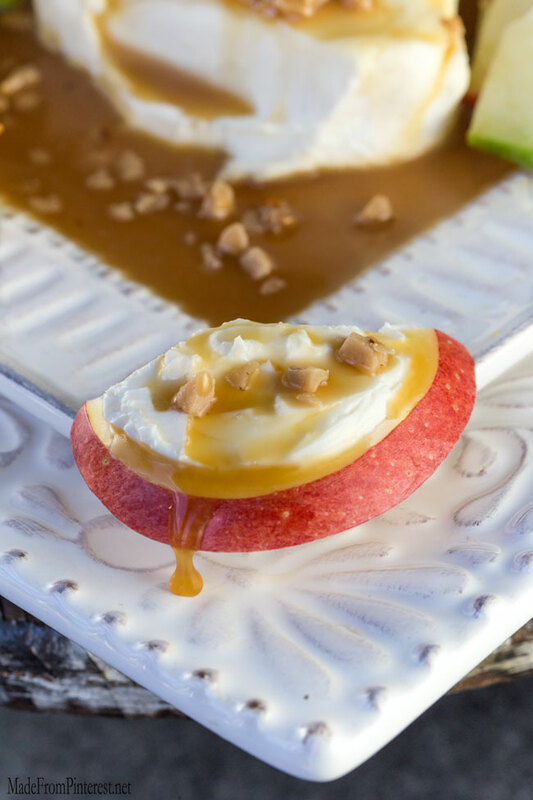 This Cream Cheese Caramel Apple Spread will take you no more than 5 minutes to make and about 5 minutes or less before all of it disappears. Seriously it will disappear right before your eyes in minutes! If you have a big crowd I suggest making a double batch. 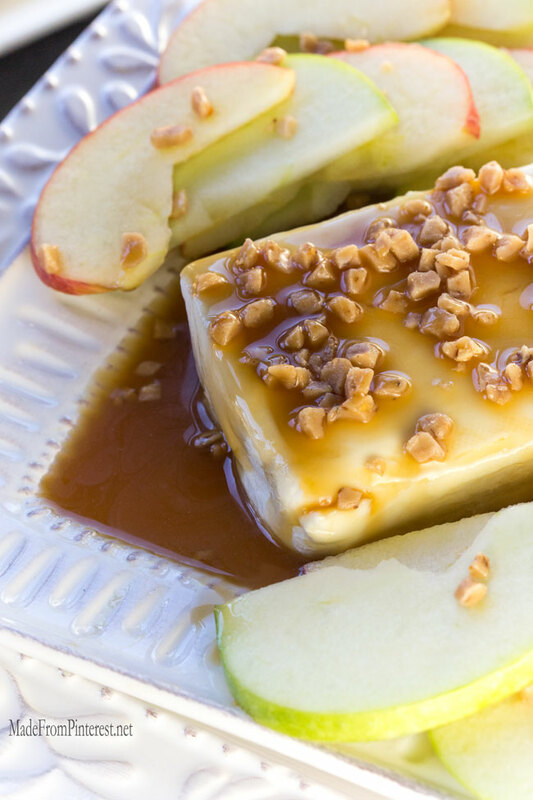 Pour desired amount of caramel sauce over cream cheese. Top with generous amount of toffee bits and chopped peanuts if desired. Serve with sliced apples, sliced pears and pretzels.